"Back Yards, Where We Live" is a series of work Swim started in 1997. "At the End of the Day," part of this series, was the view of the alley behind her apartment where she lived for two years after moving back to Toronto in 1998. 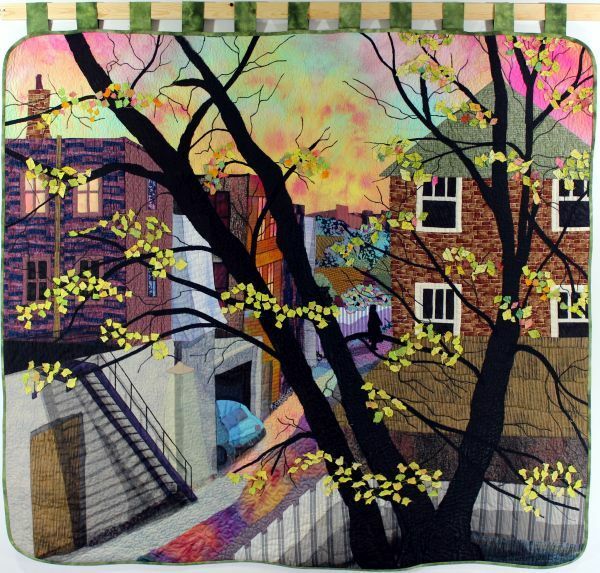 The quilt depicts a typical urban view. The alleyway, found almost universally in city settings, never looked so good as it did in latter daylight when it took on a magic-hour quality.